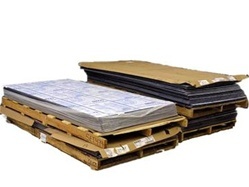 Polycarbonate Sheets available in single sheets or crated quantities. Clear and tinted sheets are available. Polycarbonate sheets can be custom cut to size. Will ship anywhere in the United States. Pricing dependent on quantity ordered, please call Precision Plastic Products, Inc. for details at (800) 245-3774.